There are many terms in our industry that may need further explanation…. By the way- we can produce Folders & Wallets that are just a little bigger than DL to hold Tickets and other items. Sometimes Folders have to be created to accomodate American and UK sized A4. We can do this but please ring us on 01536 529911. And for your information, American A4 is shorter but wider than our A4 at 8.5 inches x 11 inches which is about 216mm x 280mm. GSM: Means grams per square metre where a square meter of photocopy paper may be around 90gsm and card for a folder would be 350gsm. Most brochures are produced using 130 – 170gsm. Some might use 150gsm as text paper with the cover printed on a slightly heavier 170gsm paper to give it more body. This would be a recommended combination- 150gsm text papers with a 170gsm cover. Photocopy paper is usually the lightest and about the cheapest, and usually weighs 80 – 100gsm (grams per square metre). Magazines and brochure pages tend to be 115gsm – 150gsm in weight or sometimes even heavier. Our folders are produced using 350gsm although we can go lighter or heavier in weight if required. Silk: Silk coated paper is by far the most popular media to use nowadays for high quality publications and some magazines. It’s produced by coating normal uncoated paper with a PVA chalk solution coating which gives a silky feel to it, and it gives a slight sheen to the end product which is between very matt and very glossy. Uncoated: Photocopier paper is uncoated- it’s basic normal paper often used for newsletters and publications where there is no embellishment required. Straight forward normal paper. Gloss Art: This kind of paper was very popular third or forty years ago and some magazines and brochures still use gloss finish paper rather than silk which is the other obvious choice. Gloss Art is the shiny paper that was particularly popular in holiday brochures, magazines and the like in the 1970’s and 80’s and is still used today for these products. Matt or uncoated can be of a very downmarket cheap finish (with no coating to the sheet) or there are expensive ‘Arty’ type uncoated boards and finishes that look superb depending on how you’d like your project to be presented. We can print folders on 350gsm luxury Matt card. Silk is a coated paper or card with a smooth feel that is not as rough as matt and not as smooth as gloss paper as the name ‘Silk’ suggests. There are many kinds of silk finnish (the paper can be coated in all sorts of mediums such as a PVA/China Clay coating containing various pigments or other additives). This is probably the most popular finish on paper at the moment. Most of the folders we produce are printed on 350gsm luxury silk card. Plenty of room for confusion here because TV and Computer screens use RGB ‘additive colour’ (RGB means Red Green Blue) where printed products use CMYK inks. 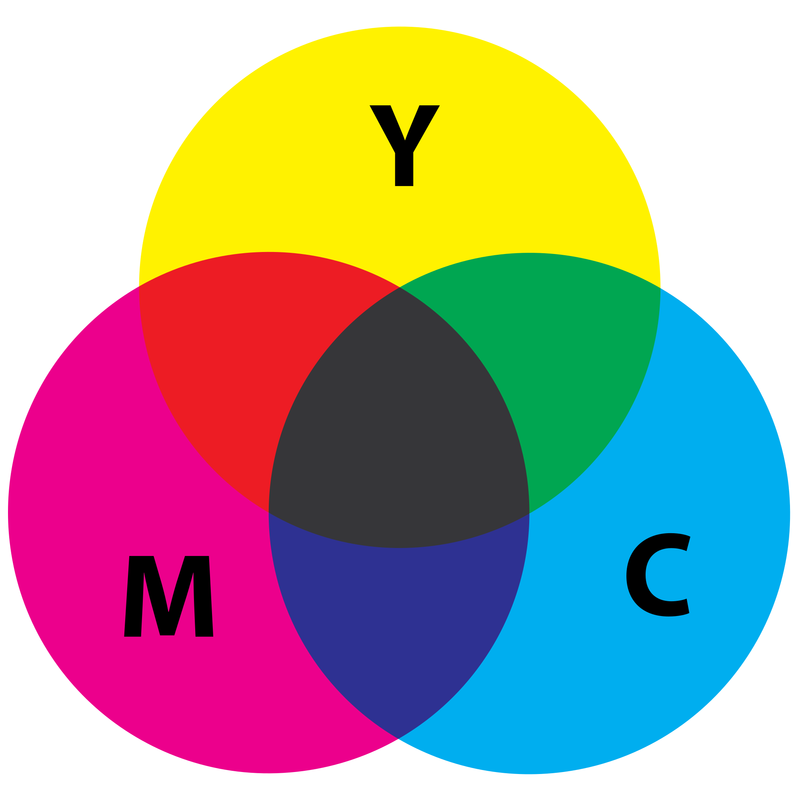 This is because printers have to use Cyan Magenta Yellow and Black ink so that these colours are reflected back to your eyes in a ‘subtractive’ way…. we can’t illuminate printed products like a TV screen! To add more complications, specially mixed inks can be used (a Pantone reference is often used) or you as a client may require a Pantone colour to be matched. A chance for us to point out here- that fluorescent colours, bright pinks and orange shades are very difficult to match unless we print a special dedicated ink to make this colour up. And there are gold, silver, other metallic and further colour options that are too numerous to mention! When ordering your printed folders or budget folders, you may need a little clarification of some of the terms we use. Print Throughout – This means that your printed folder or ticket wallet will have print on both the outside and inside covers. How Should I save My File?